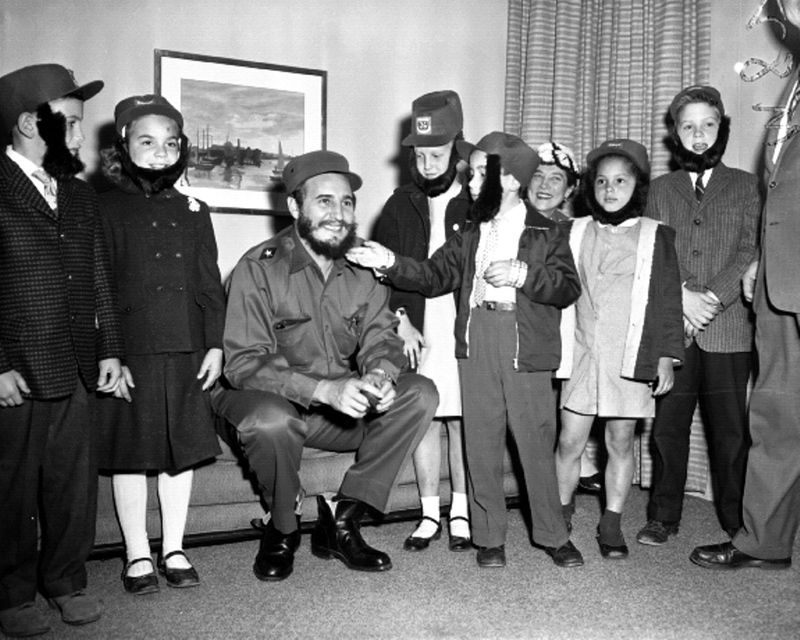 Fidel Castro has his beard touched during a visit to his hotel by youngsters who attended a Queens school with his son. The boy was secretly living here while his father led the Cuban revolution. The kids are (l. to r.): Gene Wolf, Kathy Johnston, Kathy Tableman, David Friedlander, Karen Leland and Robert Boyle. H-bomb hideaway. 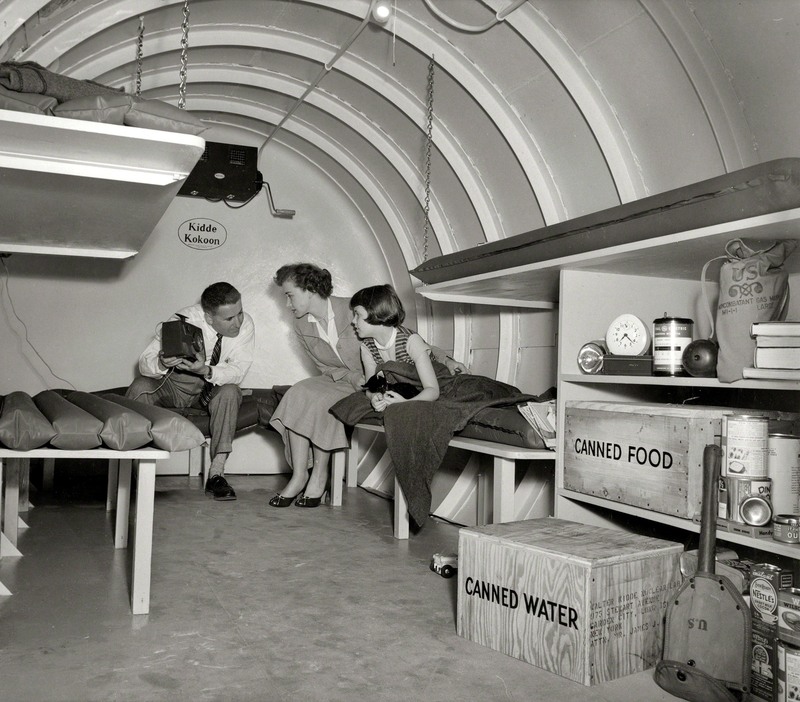 Family seated in a Kidde Kokoon, an underground fallout shelter manufactured by Walter Kidde Nuclear Laboratories of Garden City, Long Island.